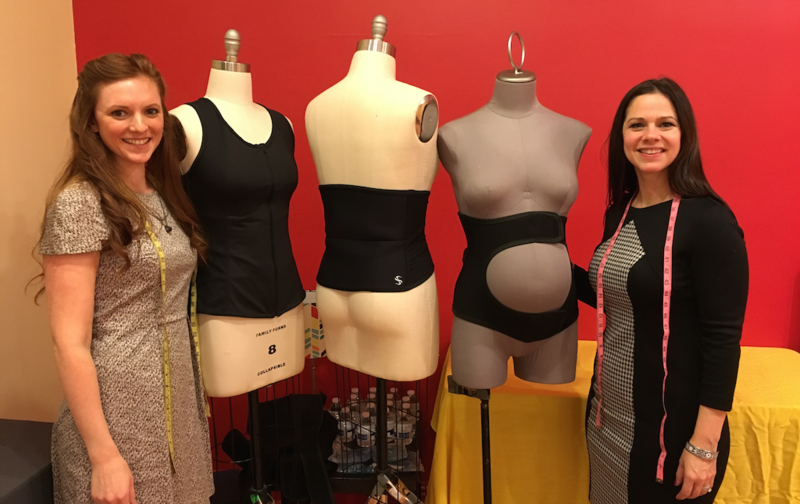 Last weekend, Spand-Ice created a pop-up table at the Shining Light Prenatal Education Open House Party to debut our newest product in back pain relief: The Maternity Wrap. As we’ve learned from experts in the field, ice and heat help can be extremely beneficial to mom as her baby grows. It helps to reduce fatigue, calm sore muscles and it’s a natural alternative to pain medication often used by pregnant women throughout their pregnancy and even into the delivery room. With our maternity wrap, we wanted to design an option to help pregnant women find relief from back pain throughout their pregnancy and provide support to the weight of their growing babies. At the party, Mom’s-to-be at all different stages in their pregnancies gave our maternity wraps a test drive and told us what they liked, how the therapy felt, and if they would change any features. After a 10-minute wear, all of the expecting moms overwhelmingly felt relief from our maternity wraps and said they could see themselves using it time and again throughout their term. In addition, we were able to tweak dimensions and features on our wraps to make it more comfortable for expecting mothers. We are happy to report that we’ve made some adjustments based on the feedback we received at the event, and have already pre-sold a few maternity wraps! In the coming weeks, we’ll be working with our factory on creating these products and getting them up for sale on our site. If you’d like to purchase this wrap sooner, please email me directly and sign up for our newsletter so you can stay in the know along the way. We had such a fun time on Friday night for our anniversary party. Here are some photos for you!